The sacraments are outward and visible signs of inward and spiritual grace, given by Christ as sure and certain means by which we receive that grace. Grace is God's favor toward us, unearned and undeserved; by grace God forgives our sins, enlightens our minds, stirs our hearts, and strengthens our wills. The two great sacraments given by Christ to his Church are Holy Baptism and Holy Eucharist. Other sacramental rites which evolved in the Church include confirmation, ordination, holy matrimony, reconciliation of a penitent, and unction. Although these rites are means of grace, they are not necessary for all persons in the same way that Baptism and the Eucharist are. 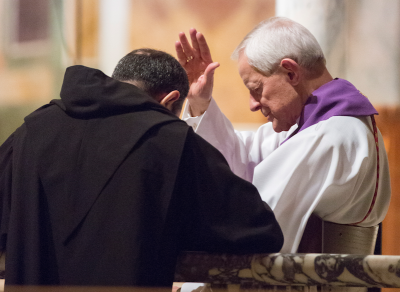 The sacraments sustain our present hope and anticipate its future fulfillment. 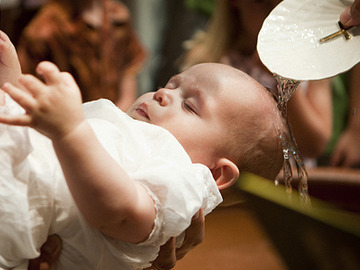 Holy Baptism is the sacrament by which God adopts us as His children and makes us members of Christ's Body, the Church, and inheritors of the kingdom of God. The inward and spiritual grace in Baptism is union with Christ in his death and resurrection, birth into God's family the Church, forgiveness of sins, and new life in the Holy Spirit. 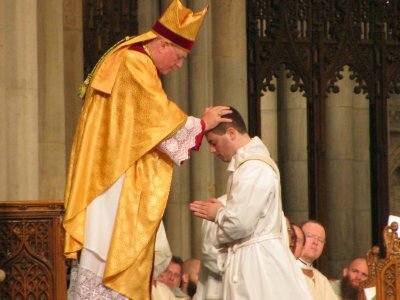 Ordination is the rite in which God gives authority and the grace of the Holy Spirit to those being made bishops, presbyters, and deacons, through prayer and the laying on of hands. The Holy Eucharist is the sacrament commanded by Christ for the continual remembrance of his life, death and resurrection, until His coming again. The Eucharist, the Church's sacrifice of praise and thanksgiving, is the way by which the sacrifice of Christ is made present, and in which He unites us to his one offering of Himself. The Holy Eucharist is called the Lord's Supper, and Holy Communion; it is also known as the Divine Liturgy, the Mass, and the Great Offering. The outward and visible sign in the Eucharist is bread and wine, given and received according to Christ's command. The benefits we receive in the Lord's Supper are forgiveness of our sins, the strengthening of our union with Christ and one another, and the foretaste of the heavenly banquet which is our nourishment in eternal life. Before receiving the Eucharist, it is required that we should examine our lives, repent of our sins, and be in love and charity with all people. 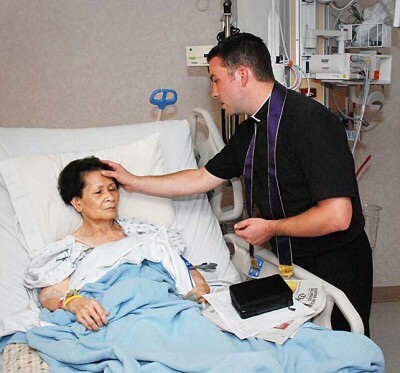 Unction of the sick is the rite of anointing the sick with oil, or the laying on of hands, by which God's grace is given for the healing of spirit, mind, and body. Reconciliation of a Penitent, or Penance, is the rite in which those who repent of their sins may confess them to God in the presence of a presbyter, and receive the assurance of pardon and the grace of absolution. 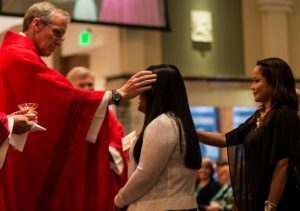 Confirmation is the rite in which we express a mature commitment to Christ, and receive strength from the Holy Spirit through prayer and the laying on of hands by a bishop or presbyter. It is required of those to be confirmed that they have been baptized, are sufficiently instructed in the Christian Faith, are penitent for their sins, and are ready to affirm their confesion of Jesus Christ as Savior and Lord. Holy Matrimony is Christian marriage, in which the partners enter into a life-long union, make their vows before God and the Church, and receive the grace and blessing of God to help them fulfill their vows.